Even for half a day, a trip to the Santorini countryside is mandatory! The small volcanic island is blessed with unique vineyards, producing renowned wine since ancient times! Pick a vineyard tour and learn through humanity’s favourite spirit the history of this island through the centuries, when the first wine was made and how the volcanic soil influence the grapes. Start your day visiting a working vineyard where you will learn about local viticulture that is unique in Santorini only! 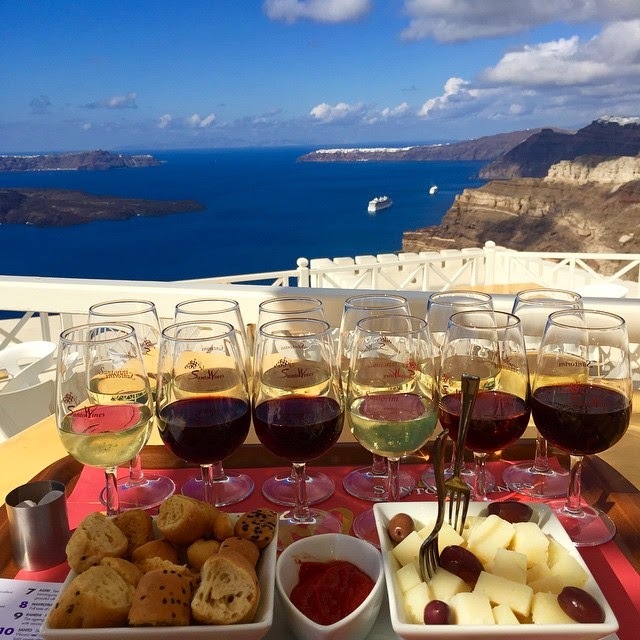 The tour includes visits to 3 traditional wineries & cellars of Santorini, and wine tasting of all the major wines of Santorini such as Assyrtiko, Nykteri and of course Vinsanto and taste local delicacies - feta cheese, salami, salads and Greek olives. Over a dozen different types of wine will be your to explore, through an intimate small group tour that will also take you to traditional villages and show you the great history of Santorini, one sip at a time.